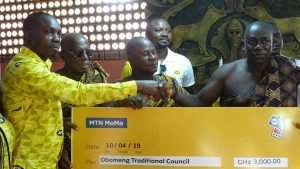 MTN Ghana has donated a total of GHc 15, 000.00 to the Kwahu Traditional Council for this year’s celebration of the annual Kwahu Easter festival. The leading telecommunication network in the country has been supporting various festivals and traditional events in the country with this year’s event being 12 years since MTN supported and sponsored the Kwahu Easter celebration. 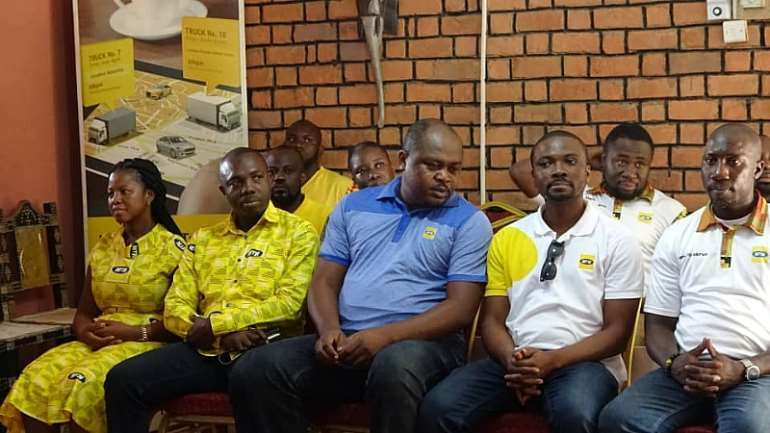 MTN Ghana donated an amount of GHc 5,000, assorted drink hampers worth Ghc 1,000 and 500 cedis worth of airtime to the Chiefs and people of Abene. Chiefs and people of Mpraeso, Obomeng and Obo also received an amount of GHc 3,000.00, assorted drink hampers of GHc 1,000.00 and 300 worth of airtime each. 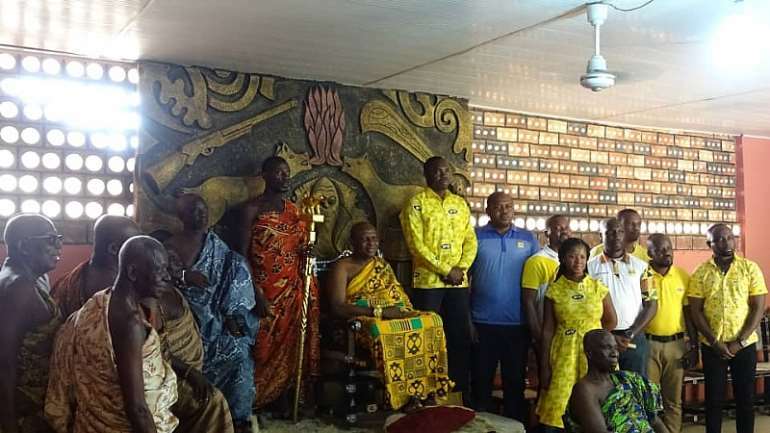 In an interview with Citi News after handing over the items to the chiefs, Mr Peter Bimpeh the Senior Manager South East business district indicated that MTN is committed at honouring their corporate social responsibilities to Ghanaians. The chiefs were highly appreciative of the gesture from the biggest telecommunications network.